Now, we find a majority of schools, colleges and universities have switched towards the OMR based examination platforms. They offer a fair opportunity and balanced outlook to the appealing set of aspirants. Students with slow or illegitimate handwriting can also score and compete well. In order to, have an effective selection of the best suited candidates they arrange a pre-entry paper. These papers are designed to check the academic knowledge of a candidate, along with the supplementing verbal, non-verbal and the reasoning abilities. Regular practice on OMR sheets of the sample test paper is suggested by the reputed board authorities to the students. It will help in overcoming the issues that a student may face during the exam and will get an extra boost for the final event. The effective practice of filling the OMR response sheets will develop a triggered confidence of the aspirant. 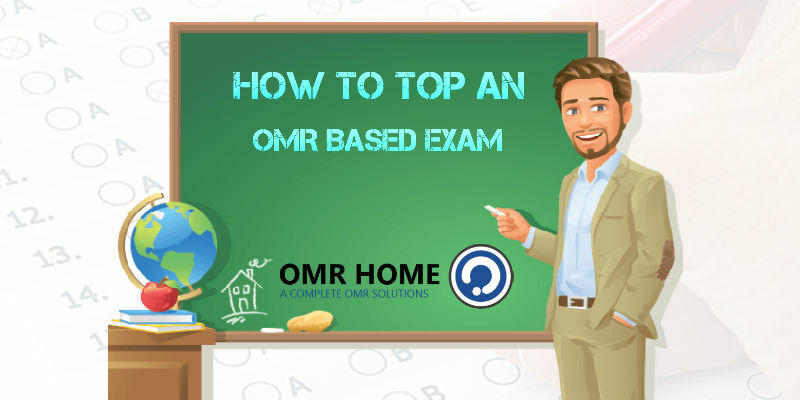 The OMR based exams constitutes of a list of tentative choices for every question that are similar and can easily hamper a candidate’s performance. The student should practice at least 30 model test papers before the final examination. Once he completes a paper, should monitor his mistakes. The candidate gets scores and feedbacks, so that similar mistakes would not be committed in the future. The effective feedback will improve the input and to systemize the approach in terms of time. This test is completely time bound and effective time management will make is smooth for you to attempt the entire paper within deputed timelines considering an example an OMR based question paper of 200 questions is offered with time duration to 3hours. SEE ALSO: What is an OMR Software? OMR sheets are evaluated using the optical mark recognition technology. This is the process to capture the human-marked data efficiently. The human-marked data on the OMR sheets formed by darkening of corresponding bubble against a particular question will be taken into consideration. The OMR software will evaluate the sheet by considering the darkened bubble against the questions. This software can easily read thousands of OMR sheets instantaneously. The evaluated sheets will meet 100% accuracy marks. The authorities can also use the calculated results from the processed sheets for further forefront analysis to track the area of interest or lag of students. So, practice hard to score sound in an OMR based exam. It’s a new innovation in the rising technology with advanced functionality that could easily be cracked with your smart work. this would help in development and accounting of competitive papers. That insight solves the prelbom. Thanks! example of how to write in an omr based examination..
Nice to know about OMR based exam. Your explanation is to clear. The pros and crons are very useful to understand the full OMR based online software exam option.